Recognizable by the signature four white stitches and blank tag, celebrated French fashion brand Maison Margiela made its debut in Paris in 1988. 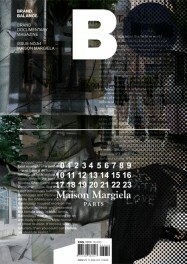 Founder Martin Margiela shied away from the spotlight, choosing anonymity over celebrity and ‘we’ over ‘I’. An avant garde at heart, he challenged the idea of traditional garments by experimenting with deconstruction and reconstruction, exaggerated silhouettes and trompe- l’oeil(optical illusion). Margiela’s spirit lives on in the Maison Margiela brand, even after his resignation in 2009, and continues to inspire new generations of designers.